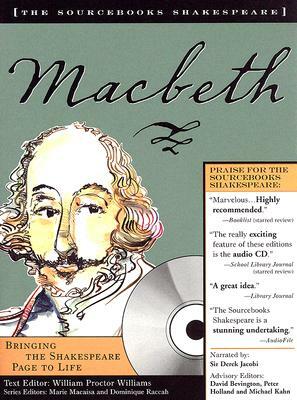 The Sourcebooks Shakespeare Edition of Macbeth features an integrated audio CD with 26 classic performances by different actors throughout the twentieth century, narrated by Sir Derek Jacobi. Detailed essays, commentary and photos accompany our newly edited text of the play with insights from a noted Shakespeare scholar. Additional essays dissect a contemporary performance, offer a modern cast's insights into their characters, and uncover the history of Shakespeare's world.